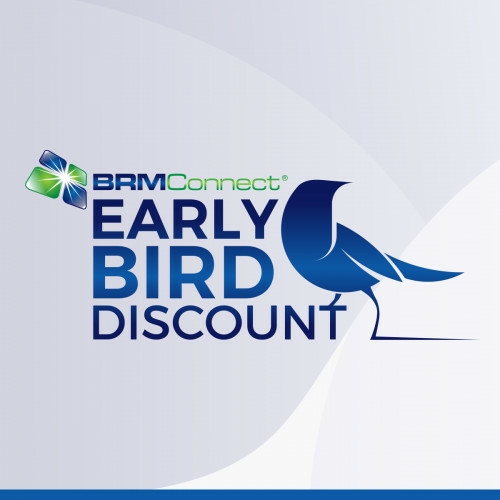 Save up to $650 on BRMConnect with the Early Bird Discount! Discount ends on April 30, 2019. You don’t have a lot of time to take advantage of the BRMConnect early bird pricing. Early bird discount of $350 off standard registration rates ends on April 30, 2019! Save an additional $300 by being a BRM Institute Professional Member, for a total of $650 savings!